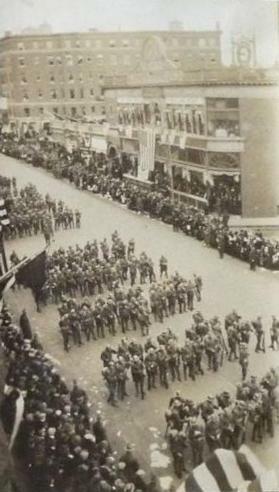 The parade began at Beacon & Charles Streets and took the following route through the city of Boston: Beacon St., Park St., Tremont St., Boylston St., Arlington St., Commonwealth Ave., Charlesgate, Berkeley St., Boylston St., Massachusetts Ave., Columbus Ave., ending at Park Square. 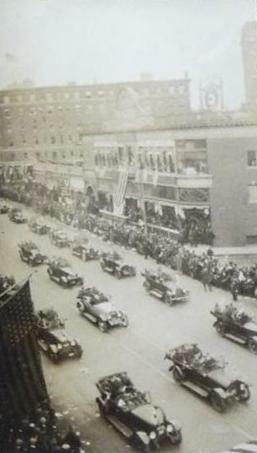 The wounded of the Division were driven in a phalanx of open-topped cars. 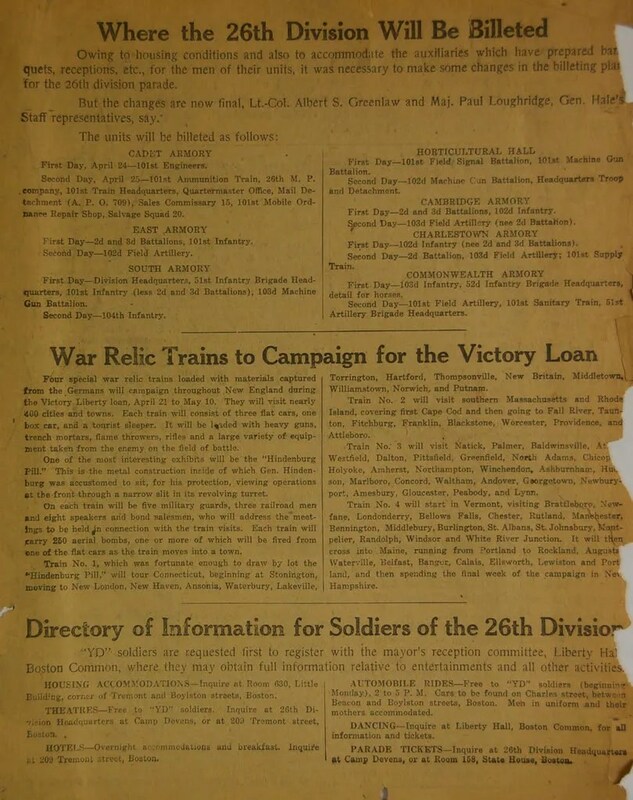 Following is a set of photos which captures the event, found inside an old collector’s photo album and shared with the readers of Soldier’s Mail courtesy of Gretchen Gudefin. 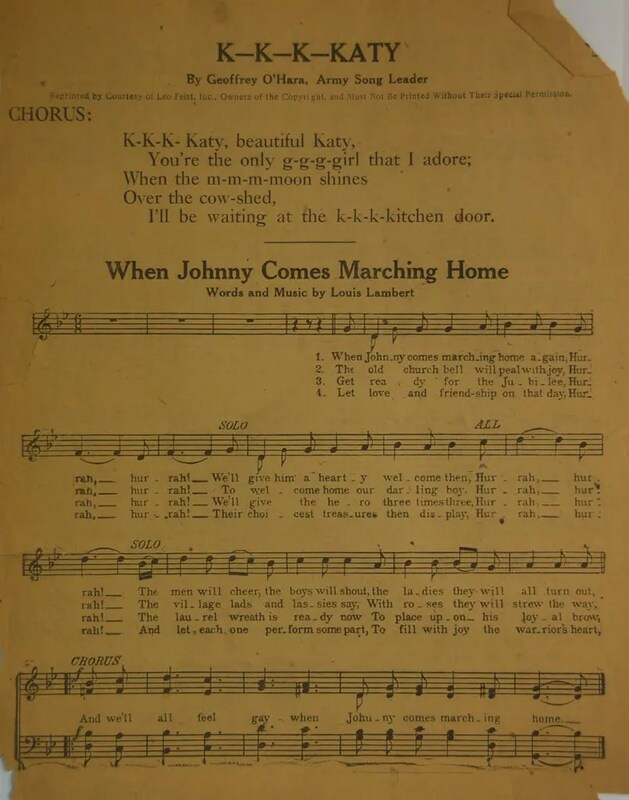 Here also is a 12-page tabloid insert from The Boston Traveler newspaper specially prepared for the event which featured songs for all spectators to join in singing. 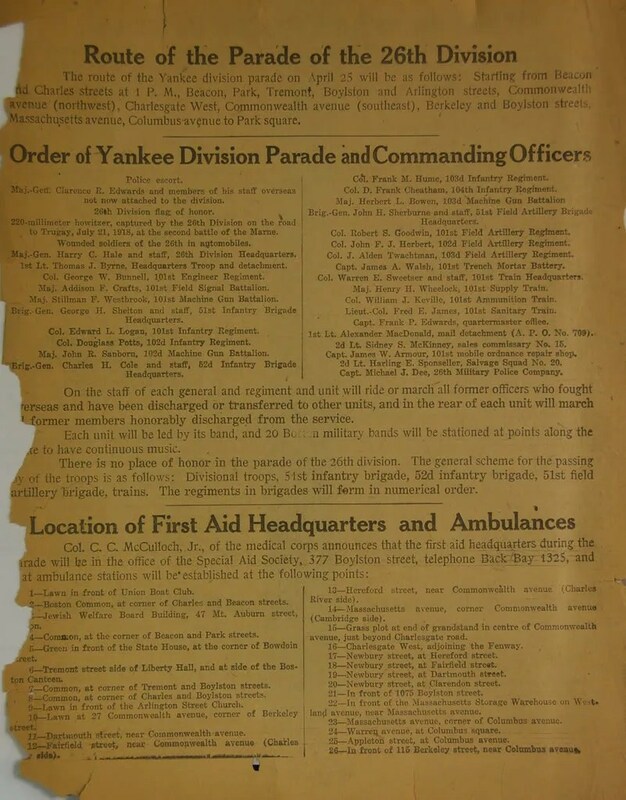 Also contained in this collectible was the parade route and other information on temporary billeting arrangements for the various units where banquets were held for the men and their loved ones. 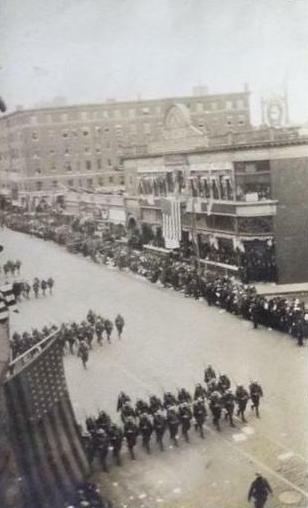 The photo of the cars carrying the wounded brings a tear to my eye. 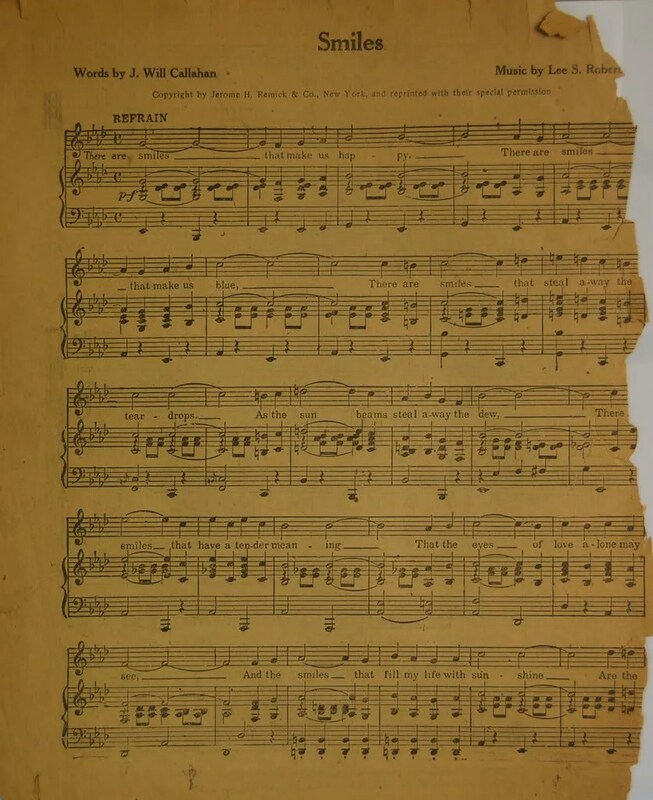 The link I give here is to a photo I took of the first page of an insert in the April 25, 1919 Boston Traveler newspaper. 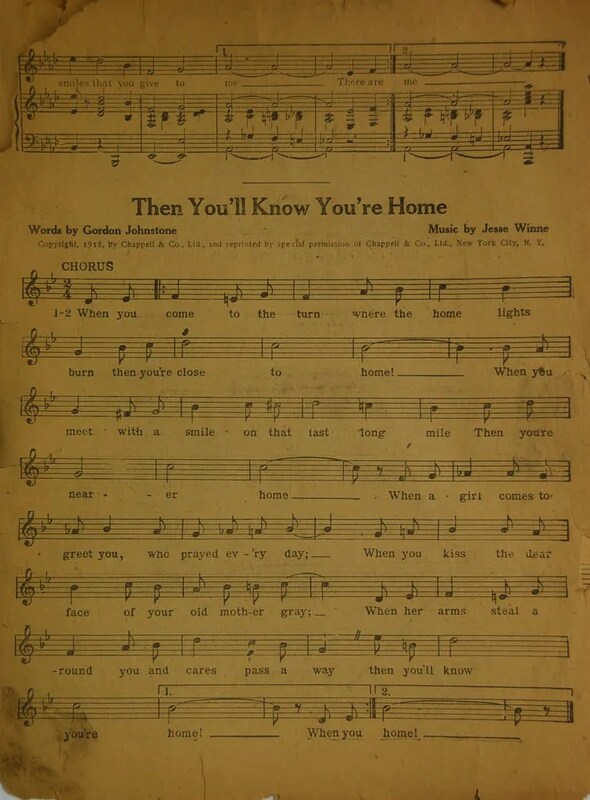 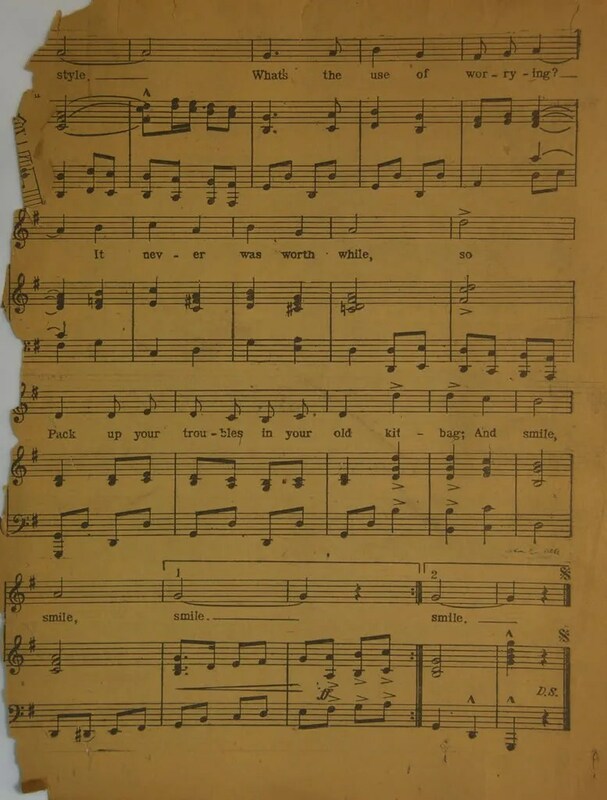 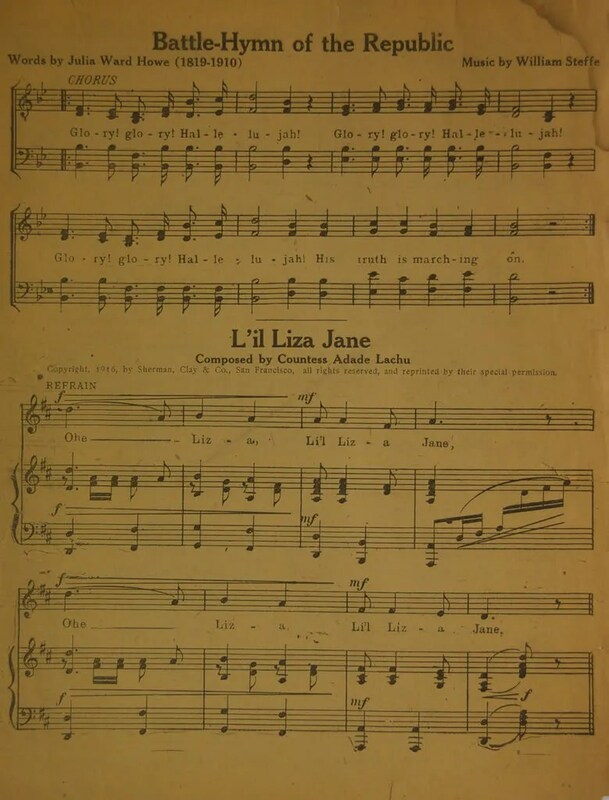 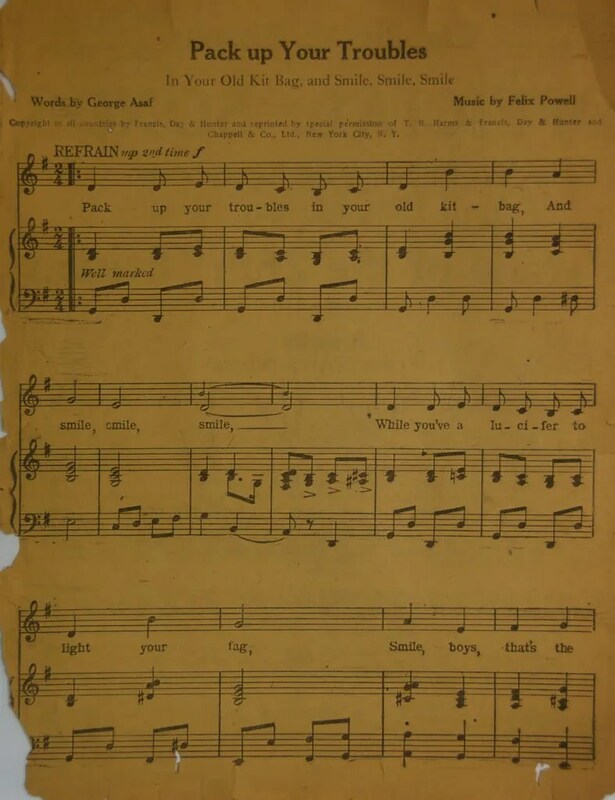 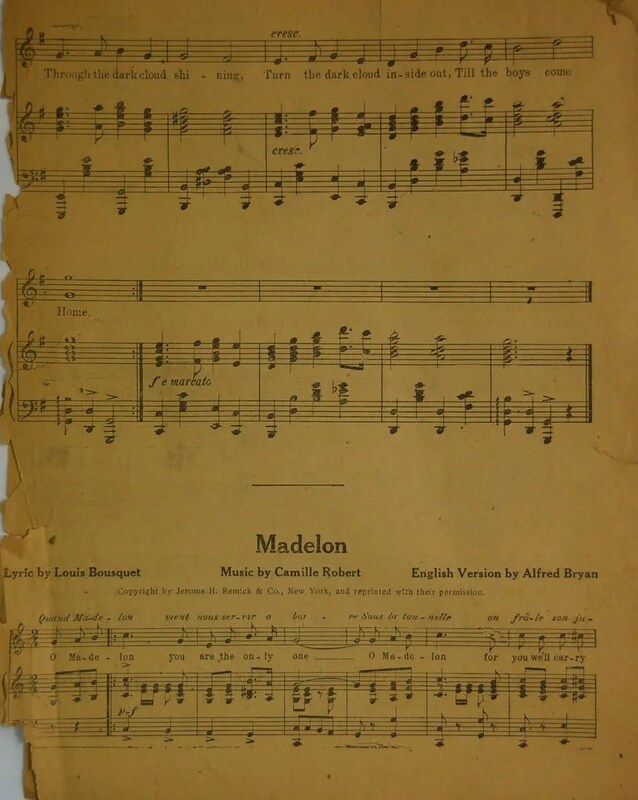 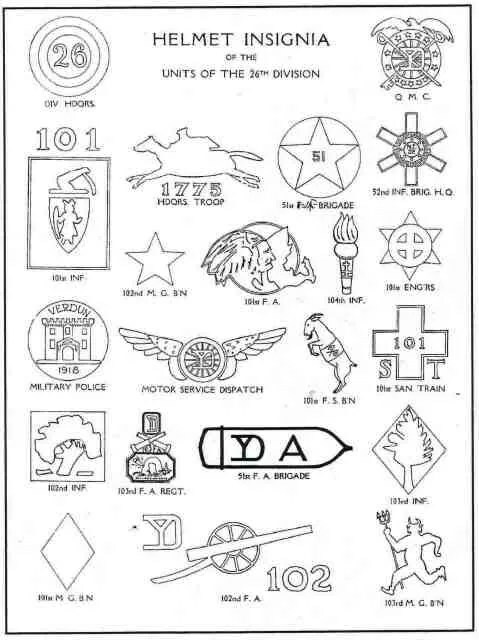 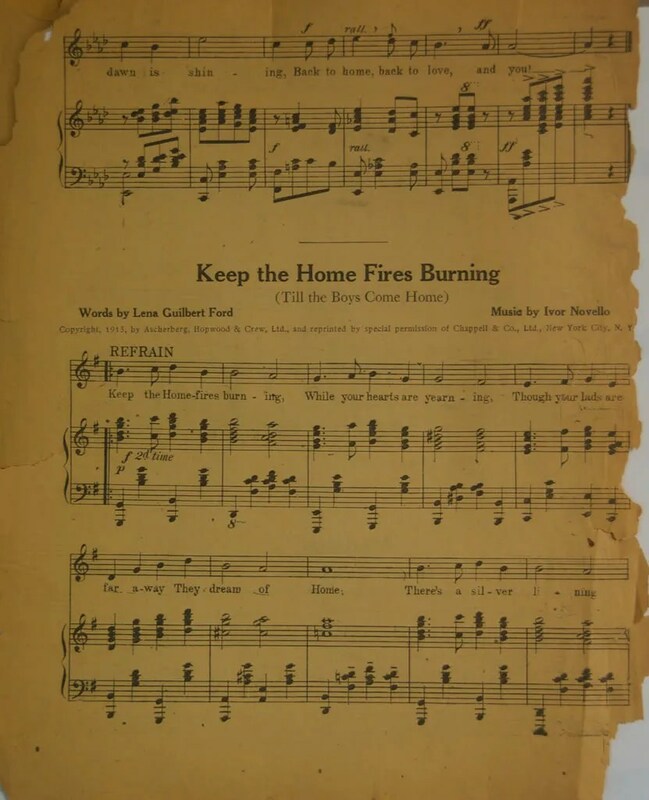 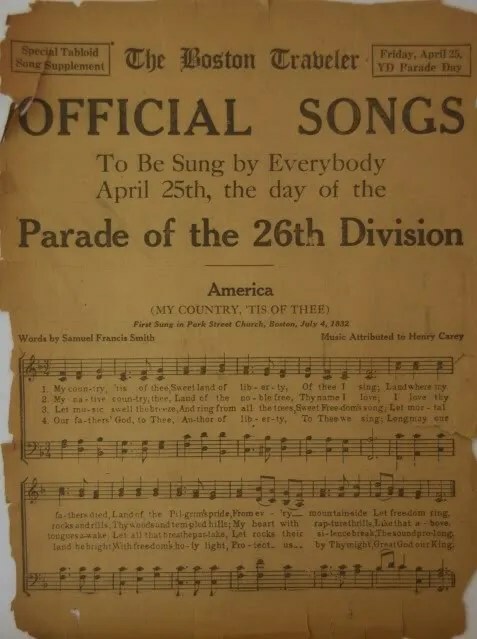 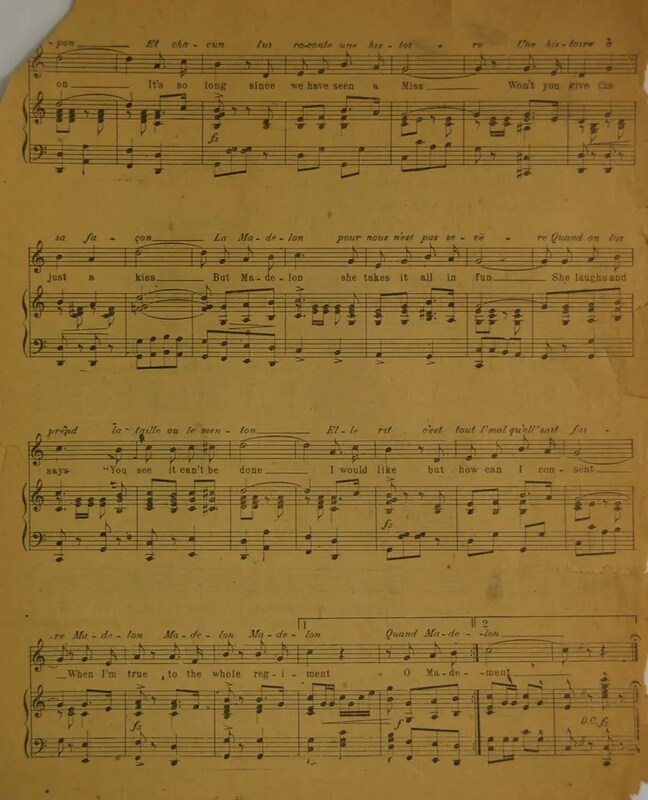 It identifies April 25 as “YD Parade Day” and gives music to “Official Songs, To Be Sung by Everybody.” The rest of the insert contains more songs, plus information on where the 26th division would be billeted and the parade route.